Para poder transferir contenido, los dos dispositivos tienen que funcionar. If your old device is inaccessible, sign in to your account (e.g., email, Facebook®, Verizon Cloud, etc.) on your new device to see what's available. Ensure both devices are powered on and connected to a power source. an Android device running Android version 4.0 or later. 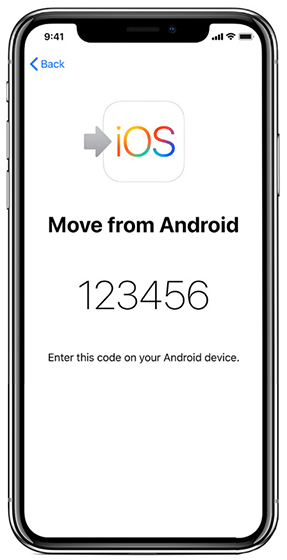 Devices running Android 9.x are not currently compatible with Move to iOS. an iPhone 5 or later model running iOS version 9 or later. 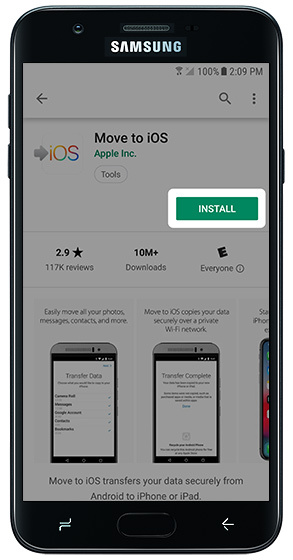 On your Android device, install the Move to iOS app from the Play Store. Tap ACCEPT to approve permissions. 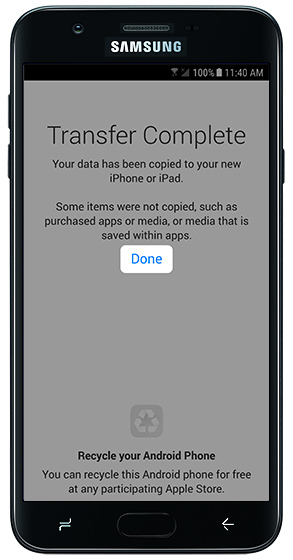 During the initial device setup process on your new iPhone, navigate to the Apps & Data screen. The 'Apps & Data' screen is only available during the iPhone initial setup process. En la pantalla "Aplicaciones y datos", toca Transferir datos de Android. 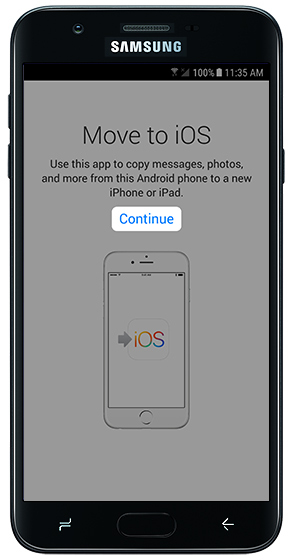 Make sure there is sufficient space on your new iPhone to accommodate the content you're moving from your Android device (including what may be on the external Micro SD card, if applicable). 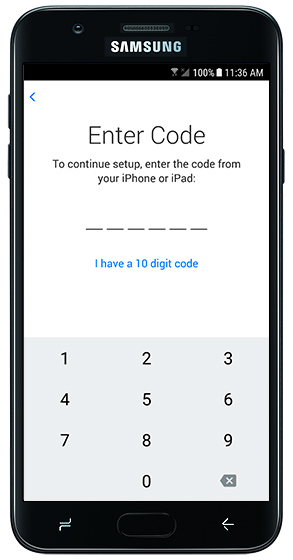 Take note of the code that appears on your iPhone. This is used to connect the two devices so data can be transferred. Review the Terms and Conditions then tap Agree (lower-right). Ingresa el código del iPhone en tu dispositivo Android. 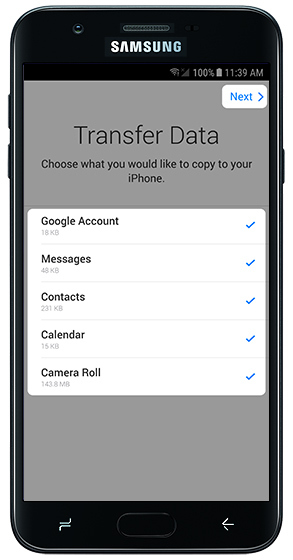 En el dispositivo Android, en la pantalla "Transferir datos", selecciona el contenido para transferir y luego toca Siguiente. Este proceso puede demorar mucho tiempo, según cuántos datos se transfieran. Leave both devices untouched until the iPhone shows it's finished. En el dispositivo Android, toca Listo. On the iPhone, tap Continue Setting Up iPhone to finish the set up process.